In this landmark exploration of how male anxiety has come to define our political culture, Stephen J. Ducat shows the link between the desperate macho strutting of male politicians, the gender gap in voting behavior, and fundamentalist holy wars. He argues that a direct association exists between the magnitude of a man’s femiphobia-that is, his terror of being perceived as feminine-and his tendency to embrace right-wing political opinions. From the strenuous efforts by handlers to counter George H. W. Bush’s “wimp factor” to the swaggering arrogance that led to the moral and military quagmire in U.S.-occupied Iraq, anxious masculinity has been a discernible subtext in politics. Ducat shows how this anxiety has been an underlying force in public life throughout the history of Western culture, and also explores why and how certain political issues get gendered. Analyzing various aspects of popular culture and drawing on pioneering research on the gender gap, The Wimp Factor is a fascinating expose that will alter our understanding of contemporary politics. 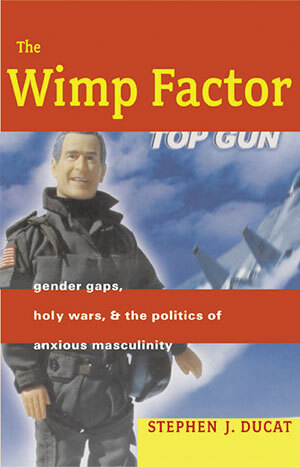 "The Wimp Factor is a timely and incisive analysis of the contemporary American political situation. It integrates the personal and the political as Ducat forges links between insecure masculinity and the appeal of aggressive, 'lone ranger'-type leaders . . . . The Wimp Factor is not only an urgently needed guide but, indeed, a trail blazer." "[Ducat's] fresh and complex insights may reach a new generation of swing voters." "A deeply important insight in the hands of a gifted writer." "Even those who disagree with Ducat's values can appreciate his skillful deployment of anecdotes, media, and wordplay."